Why is such a holiday in existence? You poor, sad person. Comics on the Brain is sorry you’ve been left out on this for so long. The answer you seek is here. 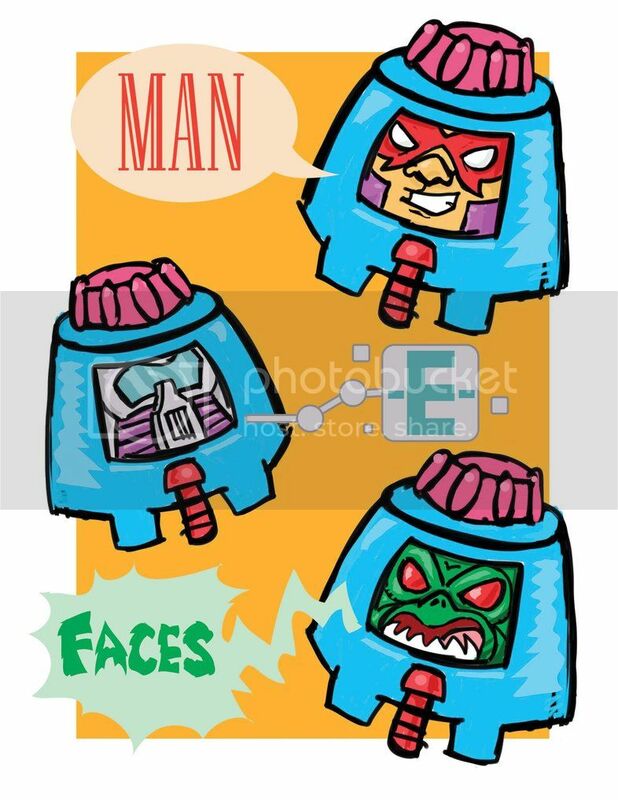 Who is MAN-E-FACES? Why, he’s a buddy of He-Man. Read all about him here. CotB talked about a comic starring him here. 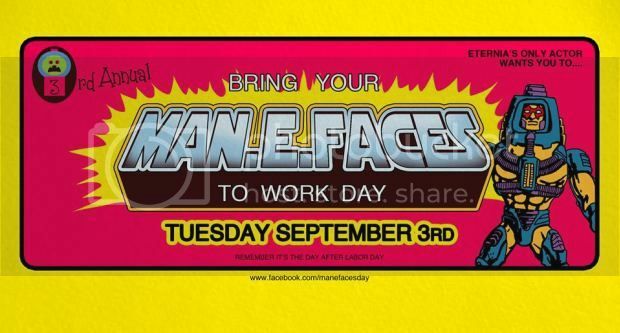 Wait that’s a cartoon character, what does the the MAN-E-FACES toy look like? You can see it here, here, here and here. I don’t have a MAN-E-FACES action figure. Where can I find one? Well, besides eBay, check local rummage sales, comic shops, toy shops and collectible stores. He’s actually a very common figure in the Masters of the Universe toyline. Gee, hunting for a toy like that seems like a lot of work, what else can I do? Why not go here, print out a few pictures, and hang them up around the office. Your boss will appreciate the morale booster! Above image by http://ryu-ando.deviantart.com/ a Deviant Art contributor. Go buy his stuff!